Osteitis is an inflammation of the bone. In this condition, aching pain, tenderness and bone enlargement are noted. Osteomyelitis is an infection of bone marrow and bone. Osteitis occurs in different circumstances and usually seen in acquired syphilis, yaws and leprosy. Osteitis pubis is a joint inflammation. 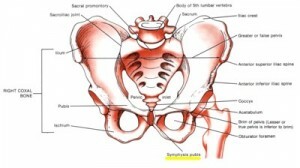 Weakness of hip muscles causes imbalance of pubic joint. Movement of legs with respect to other can cause a cutting motion. This cutting motion causes a joint irritation around muscle attachments. The inflammation can cause pain. The problem can worse if the pain causing inflammation is ignored. Players are at risk of osteitis pubis because sports need kicking, running as well as continuous change in direction. Osteitis pubis is commonly seen in soccer players. Osteitis pubis treatment is very important to prevent debilitating condition. Consultancy with physiotherapist is required in this case and different exercises are recommended for proper recovery of the disease.